Nothing elevates a home to grown-up status quite like a bar cart—think of it as the yin to your indoor swing‘s yang. 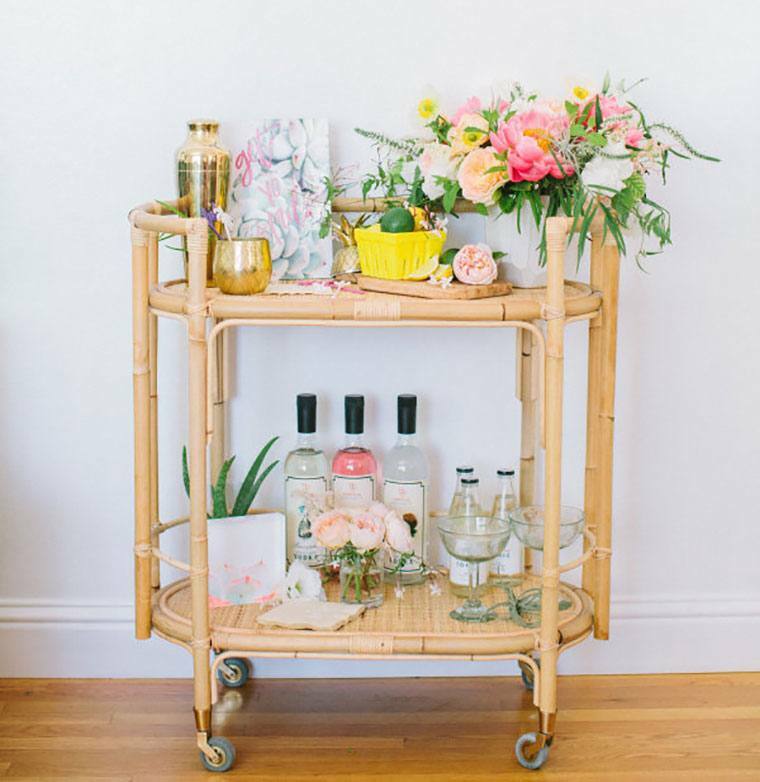 But after you splurge on a stylish one (like, say, this Art Deco-inspired bar cart), a big question still remains: What are the cleanest cocktail components you can stock it with? To start, of course, you’ll want your favorite organic, non-GMO spirits and some pesticide-free, biodynamic wine. But when it comes to mixers, most of the popular ones are loaded with sugar and artificial flavors—probably not the type of hangover you were prepared for. 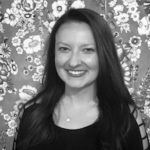 Thankfully, there are lots of (ahem) buzz-worthy indie brands that are now offering better-for-you seltzers, low-sugar spritzers, artisanal shrubs, and even preservative-free, pre-mixed cocktails (no one has to know you didn’t make them yourself). Herbal extracts are also an on-the-rise mixology trend—experts say that adding these to your drink may help with nerves, bloating, mood, and more. Cocktails as “medicine”? Party on. If you’re ready to make happy hour a little healthier, keep reading for 11 clean cocktail ingredients that deserve a home on your bar cart. Even if your mixology skills don’t go beyond a basic gin and tonic, adding a dropper of an herbal extract will make you seem like an expert bartender. Besides giving a drink a more complex taste, they can calm your gut—and your mood. The best part? They’re foolproof to use and, according to King, you can mix them into whatever beverage you want. Start with just a few drops, but to enhance the flavor go ahead and try a full dropper. Experimenting is part of the fun! These days, just about every hip cocktail menu has at least one drink that includes shrub—a syrup used for flavoring that’s made from fruit preserved in vinegar. Crafted Cocktails’ all-natural options (they’re sweetened with agave and made with champagne vinegar) come in farmers’ market-inspired flavors, including blackberry, ginger, pineapple, and their award-winning Asian pear. Mix ’em with sparkling water and your favorite liquor to add a fruity kick—rum, vodka, gin, tequila, and whiskey all work—or enjoy them sans alcohol, which is just as refreshing. Monk fruit is quickly becoming the go-to sugar alternative—namely because it doesn’t impact your blood sugar, is filled with antioxidants, and has zero calories. Needless to say, this is basically a health-conscious drinker’s nirvana, so it makes sense that Be Mixed would be using it to sweeten up its all-natural margarita, ginger lime, and cucumber mint cocktail mixers. Just mix one single-serving, preservative-free bottle with a shot of the spirit of your choice and voilà—adult beverages are served. The ingredients in Splash’s line are as clean as the bottle’s eco-friendly design (everything is all-natural and non-GMO). And while the brand sells the standard mixer options (cosmopolitan, margarita)—which you just blend with either booze or sparkling water—they also shake things up with flavors like Moscow mule and Bay St. ginger. Sometimes it’s fun to play around with bitters and herbs, but other times you just want to be able to pour something in a glass and drink up. This line of small-batch sangria is all-natural, preservative-free, and made with organic wine—so it’s way cleaner than the stuff you’ve been ordering by the carafe at your neighborhood Spanish cafe. And with mango, lime, pineapple, and orange juices already added, you don’t even need to spend time cutting up fruit. Salud, indeed. While one can of Red Bull has 27 grams of sugar (more than is recommended for the entire day), a can of Clean Cause only has 4 grams. That means you can still get a mild caffeine buzz from its green coffee extract—about half as much as you’d get in a regular cup of coffee. And did I mention that it’s also certified organic and infused with antioxidant extracts from goji and acai? Because, yeah. Even though seltzer has cultivated quite the cult following, currently there are none on the market made from just sparkling water and fruit—except Spindrift. These back-to-basics, non-alcoholic mixers are made with real fruits and veggies, like lemon or cucumber, sans added sugar (not even an alternative sweetener). That doesn’t mean that what you make with them has to taste simple; in fact, they’re the perfect base for a bitters cocktail, since the flavors aren’t too overpowering. If you prefer your sparkling water already boozy and ready-to-drink, Truly’s pomegranate, colima lime, and grapefruit options will give you a buzz and a refreshing aftertaste. Even better? Although the alcohol comes from fermented cane sugar, there’s only one gram of the sweet stuff per bottle—and nothing artificial inside. Looking for some food to serve with your amazing drinks? Check out these party snacks packed with superfoods, plus tips on throwing a dinner party for friends with dietary restrictions. As for the morning after, here are the superfoods you should seek out to counteract a night of letting loose.